Ever wonder how mathematicians came up with the quadratic formula? Wonder no more! 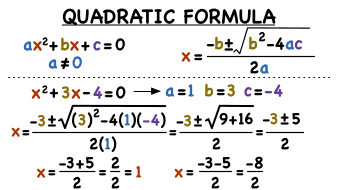 This tutorial takes you through the process of deriving the quadratic formula, so even if you forget it on an exam, you'll be able to derive it and then use it to solve your quadratic equation! Check it out!